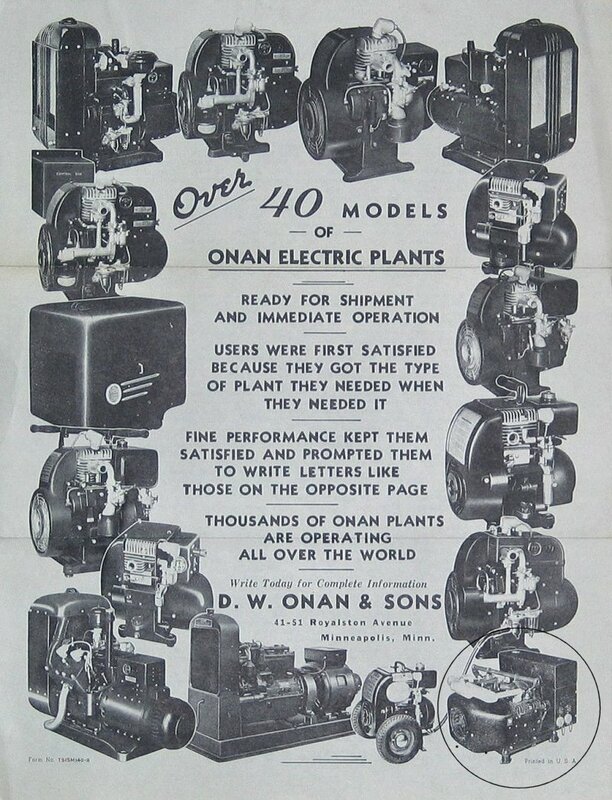 When World War II began the government had a large demand for small, lightweight, generator sets. This 1939 promotion sheet has the answer in the bottom right hand corner. The 1500 watt unit is powered by a two cylinder opposed aluminum engine. Called the OTC, it was light weight, smooth, and too costly for the civilian market of the time. When the government came calling in 1941 this is just exactly what they were looking for. And they could have it right now and they bought by the thousands. After the war, a variant of the OTC called the CK, became the mainstay 10hp engine. Made of aluminum, it powered the Thermo-King truck refrigeration units as well as generators. When his co-workers remembered Dave Onan, they have a picture of a working man very much like themselves. He met people where they were and could talk about any function of the business. With outsiders he showed them equal respect by not changing his habits. The facts would speak for themselves. When his biggest customer came to the door, this is how he was greeted. By the time the war was over Dave had spent 43 years working. He was an innovator in a time of great innovation — automobiles, electricity, radio, tall building construction, safety razor, crop rotation and Wheaties. His innovative days ahead were humanitarian. He started the Onan Foundation and a profit sharing plan for employees. He facilitated the hyperbaric chamber at Minneapolis General Hospital where many of the first organ transplants took place, was a founding father to the Minneapolis Aquatennial and Minneapolis Chamber of Commerce. 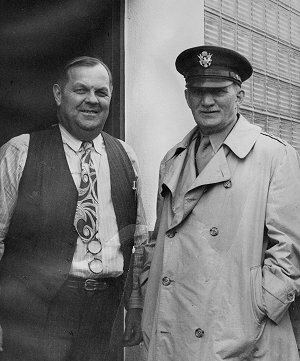 The business daily operations were handed down successfully to family and other employees. Many he had personally hired. Business was important, but this is not to say that he ignored his family. Grandpa was a regular Sunday visitor making his rounds with Grandma in the Buick. He best related to adults. To us he was a terrible tease. He made good use of leisure time and never denied himself a day off when he needed it. Dave lived a balanced and productive life — he lived well and made a difference to many. For the last 20 years of his life, until he died in 1956, Dave got a Christmas present from the employees. They passed the hat and Dyke and Nell did the shopping. There was gold jewelry and Zippo lighters, platinum watches, engraved hunting knives and a few things he could take home to the house. Wartime made many things scarce. Art wasn’t one of Dave’s big interests but this piece stayed in his office with pride. 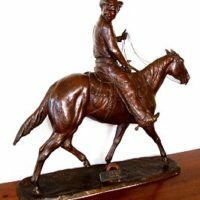 It is a bronze statue of the cowboy philosopher Will Rogers on his horse Soapsuds by Hughlette Wheeler. 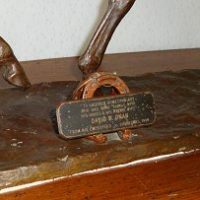 The plaque reads.